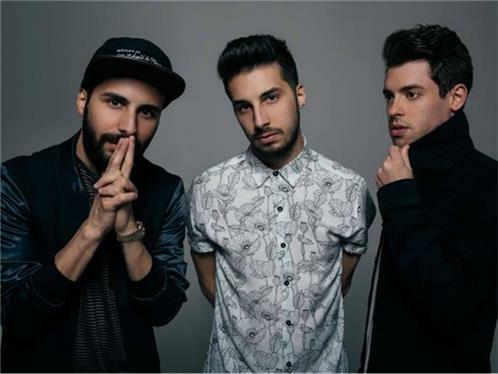 An internationally praised electronic act, Cash Cash, comprised of best friends and brothers (Jean Paul Makhlouf, Alex Makhlouf and Samuel Frisch) are hailed for their infectious dance-pop original tracks, vibrant remix productions as well as their energetic live DJ sets on festival mainstages and clubs spanning across the globe. Cash Cash emerged from the start with global recognition and support from renowned DJs and peers, including Tiesto, Hardwell, Zedd, Nicky Romero, captivating dance music insiders and friends along the way. Their hit song Take Me Home featuring Bebe Rexha has gathered over 50 million Spotify streams, over 20 million YouTube views, and Gold certification in the United States; while latest single Surrender broke the Top 40 chart, the trios second #1 song on dance radio. Currently in the studio working on new music, the guys are working with Busta Rhymes, B.o.B, Fitz & The Tantrums, Capital Cities, Christina Perri, and more.